It gives us immense joy that Atlantic Cove Marina is well on its way to becoming the best marina along the Long Island south shore. 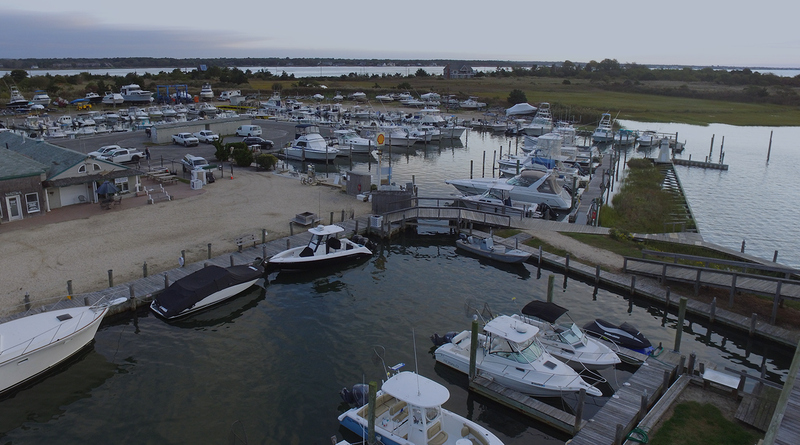 Through our offerings, we want to ensure that our customers do not have to look beyond us to meet any of their marina-related needs. From the time you dock to the time you decide to launch again, we have you covered. Our full-service dockage facilities include valet docking as well as hauling and launching. No matter whether you are looking for daily, weekly, monthly, transient, or summer docking, we have you covered. What also helps is that our marina is conveniently located. 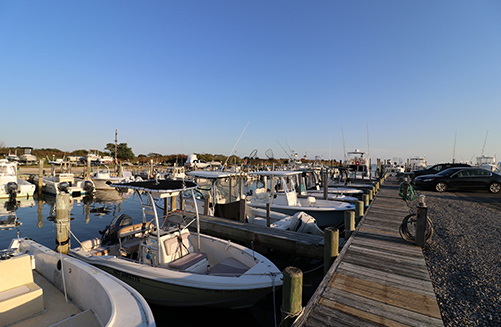 It is the closest marina to Moriches Inlet. 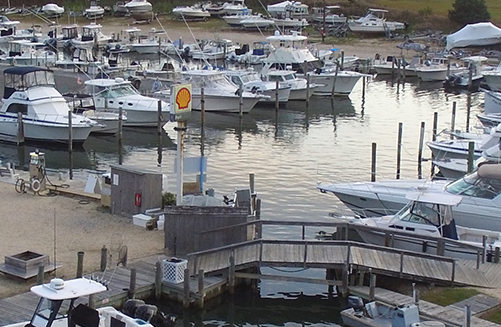 At the Atlantic Cove Marina, we take care of your gas, diesel, and motor oil requirements. We serve recreational and commercial marine vessels alike. We follow a string of stringent measures to make sure that the fuel we sell remains free of water and all other contaminants. We can ensure that your boat makes it through the winter months as it should. 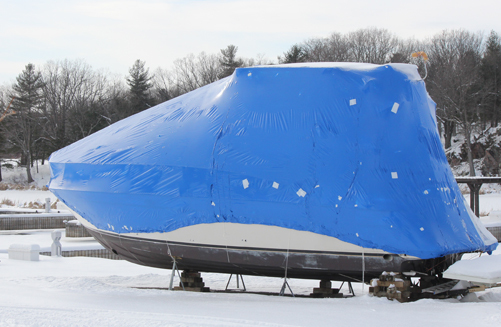 We winterize its engine, give the hull a pressure wash, and then shrink wrap the boat to sleep. We also conduct an inspection of the lower end and hull and let you know if we find anything amiss. Come spring time, we will be more than happy to Summerize your boat and get it ready for launch. While boats are designed to take a beating, it is only a matter of time before they experience some kind of mechanical, electrical, or electronic problem. Besides, boat engines tend to need more attention than most other parts. 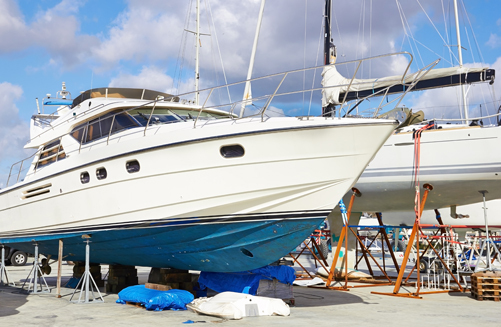 We help with just about all kinds of marine repair and routine maintenance, be it engine-related, electrical, propeller repair, bottom painting, detailing, or oil change. There’s nothing quite like spending a warm sunny day in the middle of the ocean with family or friends, having a chartered boat all to yourselves. We would love to help create a tailor-made experience for you through our fishing charters service. 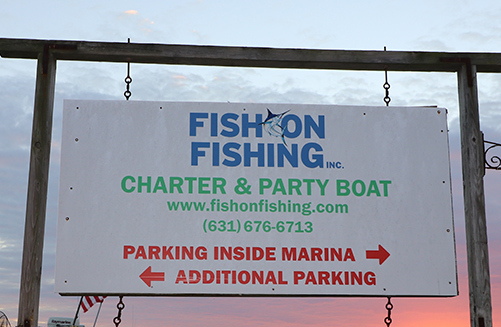 Our dedicated fishing charters team helps customers determine which package will best suit their needs. If you want to unwind when onshore, you simply have to step into the Coral Tapas and Wine Bar. Indoors or outdoors, every seat comes with a great view. You get to choose from an array of eclectic tapas, soups, salads, and platters. 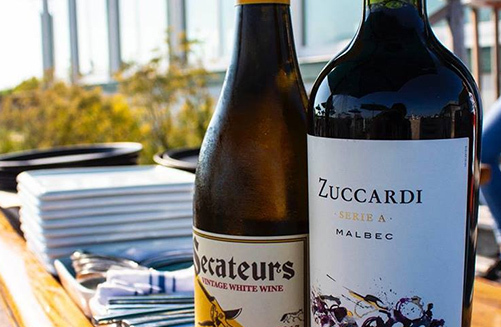 Pair your food with wines from different parts of the world, or go the beer or spirits way. 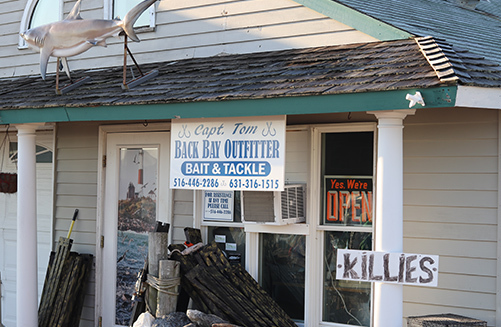 Our bait and tackle shop gives you more than enough variety from which to choose. 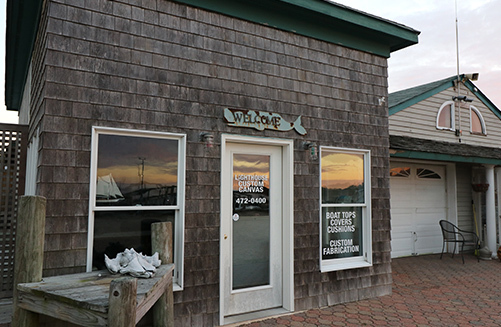 What we have on offer includes live bait, frozen bait that stays on the hook, the best in inshore and offshore tackle, and a wide array of fishing rods. If in doubt, you can turn to our highly trained staff for assistance. Our canvas shop repairs existing tops and windows, and it can custom fabricate tops for Biminis and campers. We can also help you with isinglass replacement as well as repair or replacement of boat covers, zippers, and snaps. Our experienced staff will listen to your needs first, and then offer solutions in accordance. We have the required equipment and know-how to lift, step, and de-step just about every kind of boat. 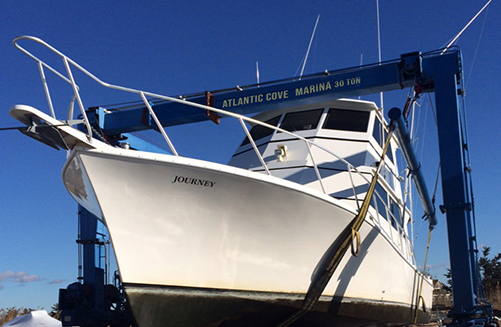 With our onsite launch crane, we are able of haul and launch boats even out of schedule. This also gives us an advantage when it comes to emergency situations where boats need to be hauled quickly for repairs. We use a specialized mast crane for precision control when it comes to stepping and de-stepping masts.